Last month, the UN Human Rights Council decided to send an independent, international fact-finding mission to investigate serious human rights violations in Myanmar. This is a much-needed step toward combating impunity in the country. The new government under Aung San Suu Kyi will have a choice – continue to deny the reality of widespread abuses to placate the military or stand firmly on the side of justice and victims by pledging full cooperation. Though the government has thus far rejected the international investigation, with both the spokesman of the President’s Office and UN ambassador calling it “unacceptable” and alleging it would worsen the situation in the country, there is still time to reverse that policy. It is fitting that the Human Rights Council’s decision was reached on the International Day of the Right to Truth Concerning Gross Human Rights Violations. For decades, successive Myanmar political and military leaders, including Suu Kyi’s, have flatly denied what millions of their citizens know, that the military has committed and continues to commit human rights violations. Even recently, faced with mounting evidence including from the UN, Suu Kyi denied that ethnic cleansing is taking place in Rakhine State, attributing problems to divided communities instead of the security forces. In 2012, the most serious violence in years broke out against the Rohingya ethnic group in response to rumors of crimes committed by them against Rakhine Buddhists, another ethnic minority group living in Rakhine State. Since then, thousands of Rohingya have been living in IDP camps in the state, with limited access to food, medical care, education and livelihoods. Thousands more have left the state in boats headed for Thailand or Malaysia, or crossed into Bangladesh to live in unofficial refugee camps there. Violence in the state spiked in October 2016 after a group of apparently Rohingya men attacked three border guard outposts, killing nine police officers and stealing weapons. Investigations uncovered a new militant Rohingya organization of as-yet undetermined strength. This was a pretext for months of what the military termed a “clearance operation,” resulting in thousands of civilians fleeing to Bangladesh and allegations that the military had burned down Rohingya houses, beaten and raped Rohingya civilians and made hundreds of arbitrary arrests. The tactics were immediately familiar to many members of other ethnic minorities in Myanmar as similar to what they had experienced during decades of armed conflict. A key issue yet to be determined is how broad the mission’s mandate will be. The UN resolution describes it as to “establish the facts and circumstances of the alleged recent human rights violations by military and security forces and abuses in Myanmar, in particular in Rakhine State.” An investigation that focuses only on Rakhine State may miss the enabling atmosphere of impunity in the country and alienate victims of similar crimes in other parts of the country. So far, the government has not stated it would deny the mission entry into the country or the affected areas altogether. But if the mission is given limited financial and human resources, it may choose to focus its efforts entirely on Rakhine State, given the geographic and logistic challenges of accessing and traveling in some conflict-affected areas. This would fall short of revealing the full scope of abuses and victims. 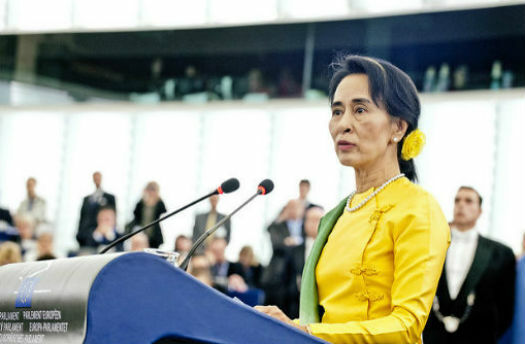 There is no doubt that Suu Kyi is in a difficult position. She and her party, the National League for Democracy, have chosen to try to work with the still-powerful military in order to make progress toward sustainable peace. But forgiving past violations in exchange for better behavior in the future, as Suu Kyi herself has proposed, does not appear to be encouraging changes in military tactics. Instead, violence against Rohingya has only increased — and the peace process in other areas stalled, if not moved backward — since the party won elections. Appeasement has sent the wrong message, that the military can act how it wants so long as it cooperates minimally with the government. The creation of the fact-finding mission is an indication that the hoped-for improvement in respect for human rights has not materialized under the new governing structures. It represents a moment of truth also for Suu Kyi. Her strategy of cohabitation with the military has not produced positive results. The mission provides her with an opportunity for an arm’s-length inquiry that could strengthen demands for reform and the political support to push them through. Failure to cooperate, on the other hand, would send a profoundly negative message that would rightly raise doubts about Suu Kyi’s credentials as a genuine defender of human rights. It would be naïve to pretend that the issues are black-and-white and one has to recognize that the choice facing Suu Kyi presents risks on both sides, but the test of real leadership is captured in such moments of truth.